Presbyopia is part of the natural aging process of the eye, and can be corrected. Technically, presbyopia is the loss of the eyes ability to change its focus to see objects that are near. It is not a disease. It's as natural as wrinkles, and it affects everybody at some point in life. Presbyopia generally starts to appear around age 40. There are different ways to correct presbyopia. Some of the newest technology is with multifocal contact lenses. 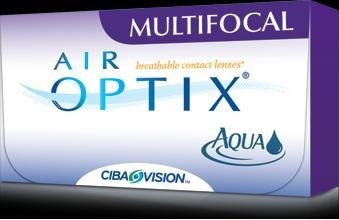 Click on the link below to learn more about the Air Optix Multifocal lens.